The Savoy’s connection with spaceflight began in 1969. Joe Gilmore, then head bartender at the hotel’s American Bar, watched the Eagle land on the surface of the moon, and was inspired to create a cocktail to commemorate the event. A flask of the resulting Moonwalk cocktail was dispatched to NASA, and was reportedly the first thing Neil Armstrong drank on his return to Earth. 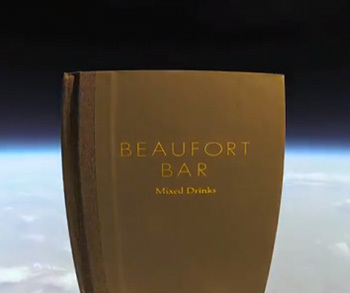 Almost fifty years later, the team at the Beaufort Bar decided to reaffirm the hotel’s connection with spacefaring by attaching a copy of their new, pop-up cocktail menu to a balloon, and sending it skyward to an altitude of over 36,000 meters. Given the imagination and effort that went into this adventure, it seems churlish point out that, depending on which authority you refer to, space truly begins at either 80km (NASA) or 100km (Fédération Aéronautique Internationale) above the planet, and so the menu, topping out at just over 36km, didn’t quite escape the bonds of Mother Earth. 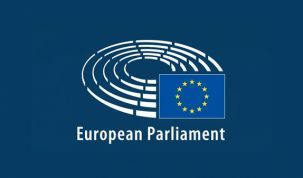 However, we mention this only in the interest of editorial accuracy – the curve of earth below the menu and the black abyss above look like something out of a NASA documentary, which is space enough for us. Congratulations to Chris Moore and the team at the Beaufort bar for creating the best bar-related video we’ve seen in some time. 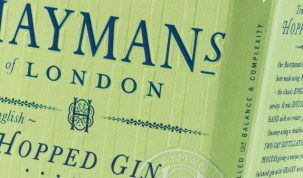 Combine first three ingredients and shake over ice. Strain into a flute and top with Champagne.